There’s always a bit of excitement in the air when Benefit release a new boxed blusher because a). they’re generally pretty damn good and b). they’re kinda cute. Well, the latest addition to the blusher lineup doesn’t disappoint on either of those scores and nicely fills a little gap in the Benefit blusher market for a netral-toned rose. Despite having a total of four different shades in the same pan, Hervana is designed to be swirled together to create a single shade – infact, you’d physically struggle to load a brush with a single shade. The packaging, despite being the usual Benefit cardboard offering, seems as though it would be substantial enough to see it through its lifetime and the brush makes for a decent application if you don’t posess a blusher brush you’re already happy to use. My pink skin-tone pulls Hervana toward the cool side of the spectrum, obviously making the most of that fuchsia-pink shade in the pan. 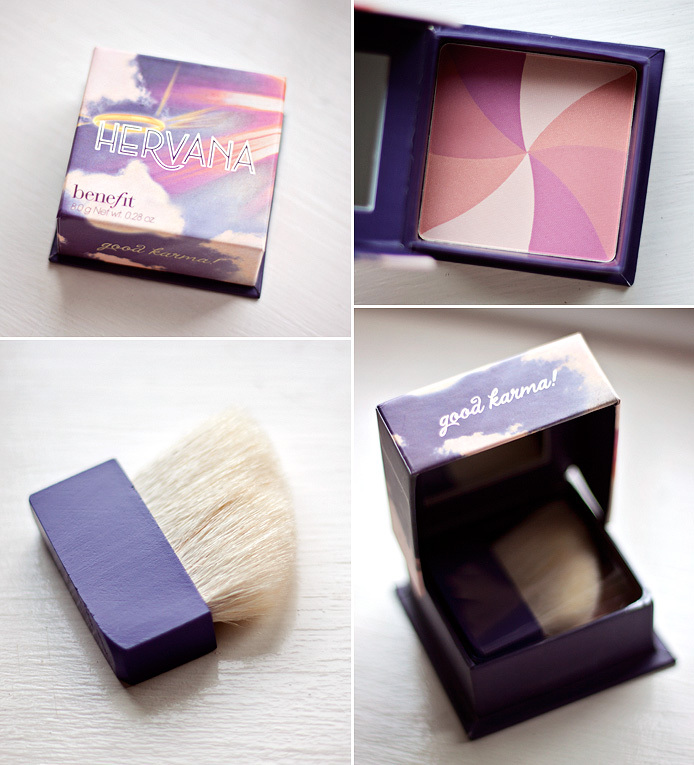 This makes Hervana offer something very different to some of my other Benefit blushes which lean a lot warmer in tone. 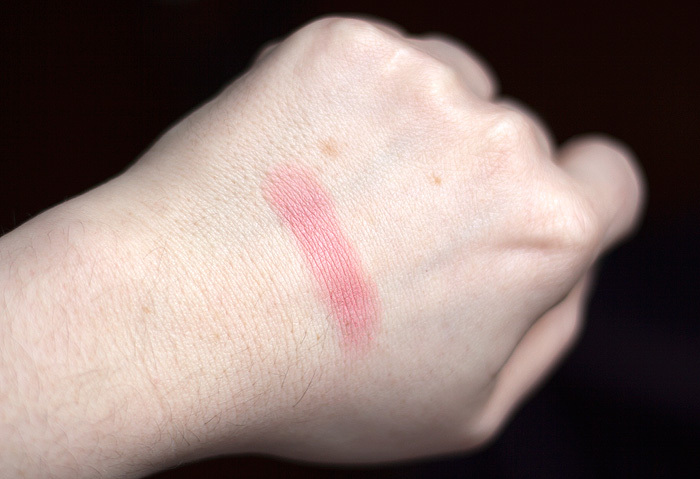 Because of the peach shades within the Hervana spectrum, you may find that your skintone pulls the blush in a different shade direction to mine, something to be wary of when swatching for yourself. I really love the ultra-fine satin finish which adds a little luminosity and lift to the complexion without exagerrating pore size or fine lines. Overall, Hervana is definitely one that I’m happy to recommend. Providing the shade works for you, I can’t see you experiencing any application problems with this one – it blends smoothly and evenly and lasts well throughout the day. Gorgeous colour. I am addicted to Sugarbomb and I think if I bought this two i’d be just as addicted! That looks such a pretty colour on you. I had a look at it the other day and was pretty disappointed to be honest. I just couldn’t get it to show up on my skin even though I’m really pale. It’s really pretty in the box though so I may have to go and have another look! Oooh, bloody Benefit with thier expensive boxes! They do last forever though! I’ll have to go and have a little swatchy-poo. Very beautiful, but not cheap! Ooh, I think I’ll have to swatch it for myself. Benefit’s blushes are usually too brown for me. Gosh, I tried that in the store it look so horribly ashy on me. I also do have a deep rick complexion but I so wanted it to look nice on me. BTW, have you noticed that their blushes smell good too?